Eons ago, before the internet came and took over, finding a house was a purely physical affair. You had to find a house, or three, that you were interested in and get flyers that had information about a listing. Most times, the Flyers were found in signs that were stuck to the ground with information about the listing. If interested, you could then arrange with a realtor to show you the property. This system worked well and still does, but there’s a new kid on the block that’s taking over the 21st century; the internet. Digital is changing the way we think, feel, and now, view houses. Although the walk-in is important, real estate companies are making sure that you can still properly view the house without having to physically be there. You can now virtually view the entire floor plan of a property that you’re interested in. Real estate is digitizing and moving more towards virtual tours and online property listings. As a property owner/ agent, it is important to put up your property’s information online to entice possible clients, tenants or buyers. Does the company have 24/7 customer support? Do they respond quickly to chat messages? Do their phone lines work? This might seem minor, but it will get serious if your site is live and you experience a technical breakdown with your site. A Speedy recovery is important, so it’s ideal to have customer support available. The aim is 100 percent uptime. That may be impossible, but you should seek to get as close to perfect as possible. Learn more about what to look for in a web host. That speaks for itself. Is it too cheap to possibly deliver the results you need? Or perhaps the price is high for nothing. Research on market prices and compare the price to the service being offered. What is everyone else saying? If everyone is collectively saying run, that should be a good sign. Read my hosting reviews. 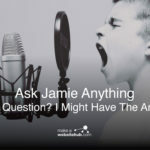 If your site does well and jumps from 200 visitors in a month to 300,000 visitors, will there be any problem? As a realtor, value for money is key. You’re most probably looking for a quality product at an affordable price. As you know, the dollar amount of a property does not determine the property’s worth. Hosting value is also measured in quality. As you scroll through different reviews, you should look out for a plan that will give you the highest amount of support and resources at the lowest prices. All the providers that will be mentioned in our list offer name registrations completely free; unlimited email, storage, and domains. You also get up to $200 worth of free advertising credits to position you in front of potential clients. – Free and easy site transfer/ setup with 1-click install. – Top WordPress host recommended by WordPress. There are so many Real Estate services on the internet and statistics show that more than half of Americans search for these services daily. Having an online presence is the only way your potential customers will know what you’re offering. SiteGround gives the unique opportunity to start your own real estate site with half the effort and an affordable price. It’s currently one of the best hosts out in the market. It has many years experience working with SMEs. They have created a tailor-made hosting solution just for you. They make sure that your Real Estate site app, if you have one, runs smoothly on their servers. They also ensure that your website is faster, safer and better supported. Choose a hosting package from SiteGround that will suit your needs. I would recommend going for the “GrowBig” package as it has more premium features that will benefit your site in the long run. 3. Create a unique real estate domain name for your store. Choose a domain name that’s unique and will be the one to represent your company and what you’re offering. All popular apps such as Prestashop, WordPress, Joomla, and Magento that are usually used to create a real estate store can easily be installed through Softaculous 1-Click-Installer, which can be found in your c-panel. 5. Choose your preferred website design. There is a team of designers that have created a large number of free designs to choose from that are ready to go. Siteground offers free installation of your chosen design. The result? 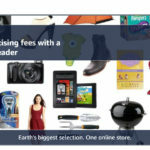 A good looking website and savings from the designer fees that you would have used. The look and feel of a site to a realtor are so important considering how much time is spent getting a property ready for showing. In the same way, the website becomes like their property. As a realtor, your primary concern is, probably, getting it just right, but you have no idea how to code HTML. Luckily, most of the top hosting providers do offer website builder tools. These complimentary tools allow you just to move your mouse to click and drag the elements you wish to have in your website into place. Typing contact information or a listing is done in a simple text editor. The text will appear just as you expect it to look on your site’s published version. Not as difficult as you’d think! There is a world of free templates that are available for you just to click and download. Here is a list of our preferred website builder plans. – No coding skills required. It has a drag-and-drop website builder. – You can add features using the App Market. – You can quickly build an eCommerce store. Wix has grown in popularity over the years because it provides you with all the tools you require to create an eye-catching website for your real estate business. There are tons of templates to choose from specifically for the real estate sector. You don’t have to have coding skills to create well-customized sites, thanks to the drag-and-drop builder. 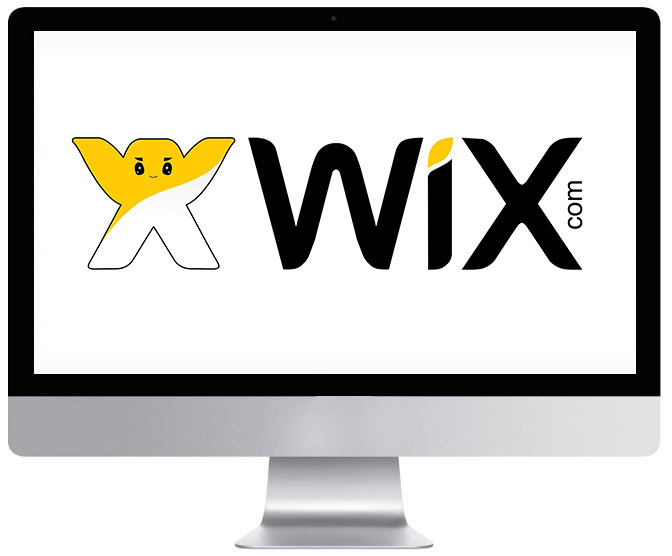 Wix also gives you lots of marketing tools from SEO tools to email campaign systems and social media integrations. 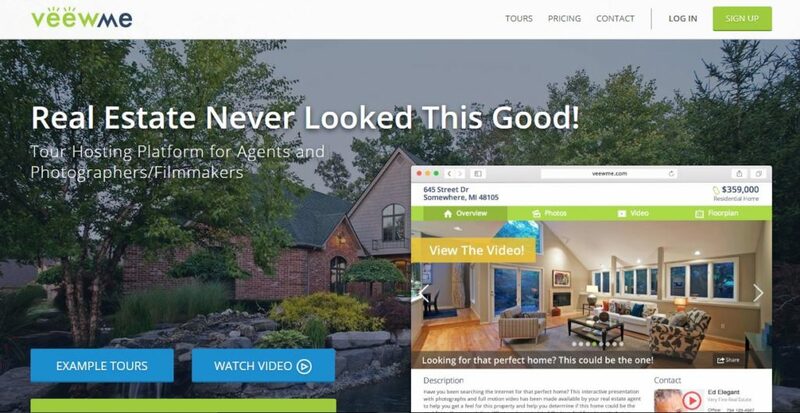 The downside is that wix will only provide a few real estate business widgets, making it hard to find ready-made support for the extra listing services such as IDX or MLS. The up-side is Wix’s 14-day money guarantee will let you try out its services freely. Wix has one free plan, and four other premium plans to choose from. The more professional you want your real estate website to be, then the more you would have to pay. Choosing to go with the Combo plan or higher will give you a great bonus of a year of free domain name registration. The domains covered are .com/.net/.org/.info/.biz/.co.uk domains. Skipping out on the Wix ads requires you to go for the priced plans. If you are looking to have more business-focused functions, then it’s best to look beyond the combo plan. Some examples are online marketing functions, and the integrated online payment system. They are limited to the VIP and Unlimited packages. – Pre-built sections and pages. iPage customer support is highly reliable and professional and is ready to assist in case you encounter any issues building your site. Customer satisfaction is iPage’s top priority. 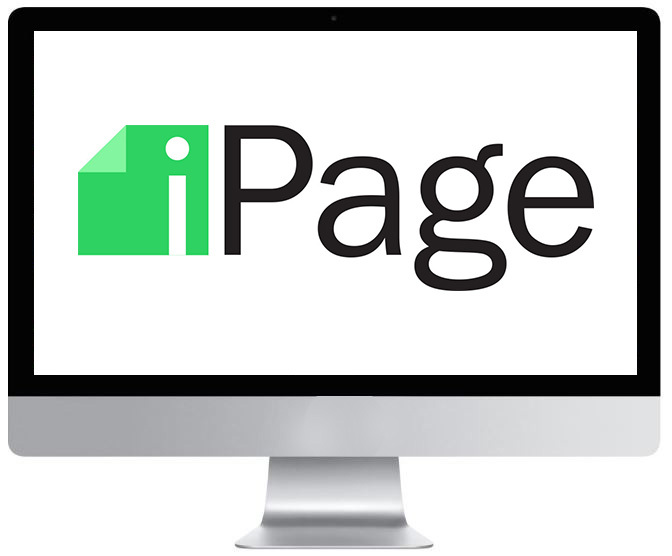 Just like other builders, iPage will offer you access to a vast collection of site templates that are ready to use. iPage has its own default collection of templates. It provides one-click installation for a quick CMS (Content Management System) setup such as Joomla and WordPress. You gain access to several innovative designs and ready-made templates, thanks to the CMSs. 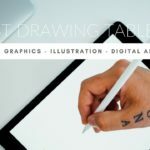 After making your template design selection, all you have to do is drag and drop your chosen site elements onto the web page. You can even create forums, directories, portfolios and more. iPage allows you to choose an option that creates websites, which are compatible with different mobile phone screens. In short, mobile-friendly websites can be set up through Weebly site builder of iPage. Google gives greater importance to a website that is mobile friendly, so you are better off going with this when designing your real estate website. iPage gives you the option of adding SEO capabilities to your site’s content to rank higher in search engines like Google. The tool will allow you to add keywords, meta description and suitable keyword rich titles for your website, which will help your target audience to find you when they search for your Real Estate company. – Integration with Flickr and Fotolia image databases. – Generates efficient, clean and compliant HTML. – Gallery, SEO and forms plugins. The themes that BoldGrid offers are inspiring. There are different categories for real estate agents, photographers, designers and more. Its inspirations plugin is accompanied by over 200 responsive looks. The themes have pre-installed plugins, which add functionality as well as usable images and text. Every specific theme is designed with multiple color schemes in mind. BoldGrid will go the extra mile to recommend colors that compliment the palette that you started creating. 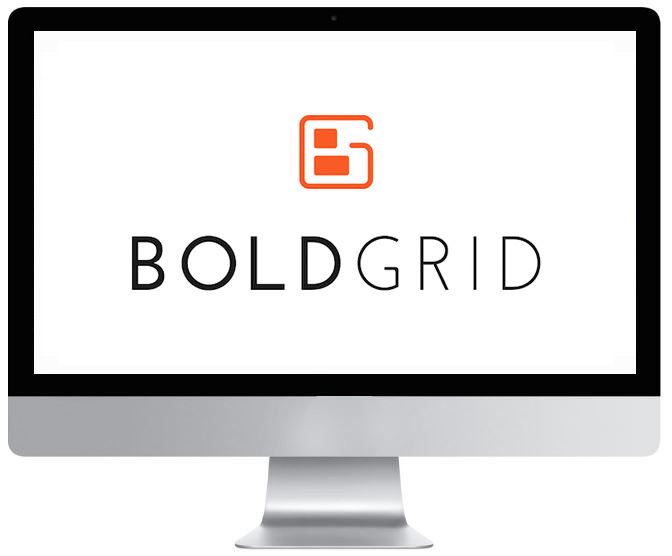 BoldGrid has an intuitive builder that has unlimited customization. Pre-built layouts that are provided by GridBlocks give you a head start on adding content and pages. These can be used to insert forms, galleries, images, and text without using shortcodes. The drag and drop function is intuitive and lets you accomplish clean layouts, column and row, without having to code. It has an API integration with Flickr and Fotolia, which gives you access to millions and millions of stock photos. You can look for the images and select them from the WordPress dashboard. Other than generating SEO-friendly code, BoldGrid has a plugin that helps boost search rankings. As you build your site, it also sets meta descriptions and page titles. Before you publish, you have the option of previewing the changes. The BoldGrid staging environment is perfect because it lets you try different themes and plugins and updates to make sure that everything is in good shape. Your site interactivity is enhanced by photo galleries and forms. You can easily create, customize and manage your forms and galleries, and how they appear and function. BlueGrid has collaborated with WordPress to make WP competitive when put alongside other website builders. Developers add on to WordPress Core code tracks and tickets. BlueHost is great because it gives website builders a chance to build a professional looking website without even having to muster a line of code. BlueHost uses the WordPress and Weebly Website Builder, which both provide different features that help their clients grow and develop their own websites. Weebly and WordPress are both perfect for those who lack knowledge and technical skills to build their own website. Users have many options involving customizing their sites because both Weebly and WordPress come with pre-made themes/templates. These website builders create the website without requiring the user to have any coding knowledge. Website builders are usually either web-based propriety tools or are in the form of computer software. 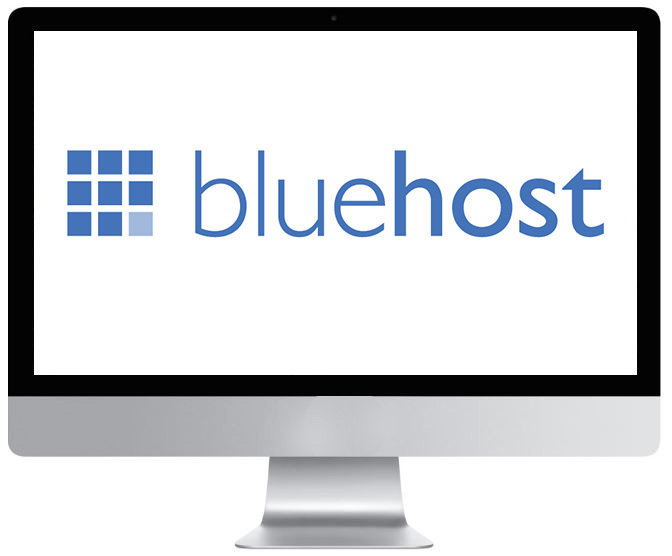 BlueHost offers four ranks of Linux-based VOS hosting. It ranges from a monthly rate of $29.99 for Standard, to $119.99 per month for Ultimate. 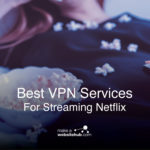 VPS hosting plans have discounts included for long term contracts. However, BlueHost does not offer Windows-based VPS. – Dynamic/static catching options are available with SuperCatcher. Siteground makes it to the top list as one of the best web hosting and website builder companies online. 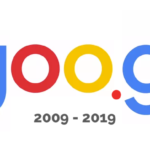 It was founded in 2004 by a couple of university graduates. It was a small team of developers who were trying to start a web hosting services provider and website builder. Success came to them steadily in the span of a decade, and today, 320,000 domains are hosted on Siteground’s servers. It is a web hosting service that also has a DIY website builder service that comes at an affordable cost. 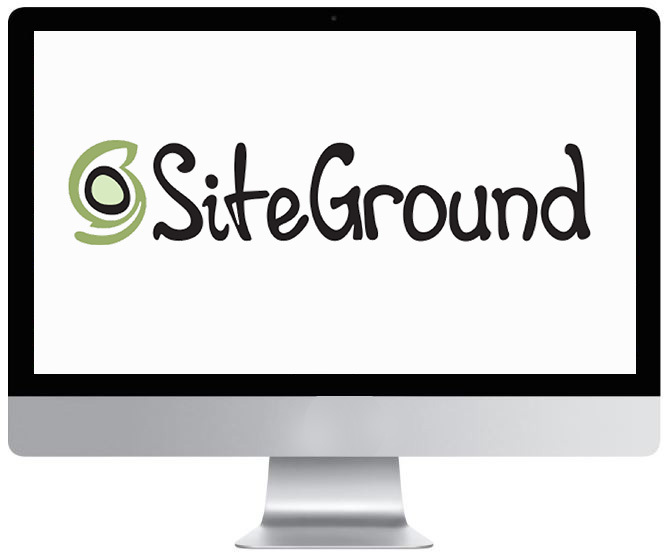 SiteGround supports WordPress, Magenta and Joomla technologies to create a fabulous site for you. SiteGround works for both small and large real estate businesses because it has a variety of entry-level and enterprise plans. SiteGround provides three plans. These are StartUp (price from $3.95 ), GrowBig (Price from $7.95 monthly), and GoGeek (Price from $14.5 monthly). All the plans have the essential features required to build a website like free domain, free website transfer, 99.99 percent guaranteed uptime, unlimited database, free applications installs and unlimited emails. As an individual realtor, StartUp and GrowBig are the plans that will work just fine in meeting your website building requirements. However, if your real estate company is large and would need unlimited access and extra safety features, then GoGeek would make more sense. GoGeek has extra features such as advanced hardware and PCI compliance. It also has fewer accounts on the server. As a novice who isn’t sure about your requirements, then the StartUp plan would be a good first step as you try out the different features that SiteGround has to offer. Once you are accustomed to the system, you can go higher in the ranks. 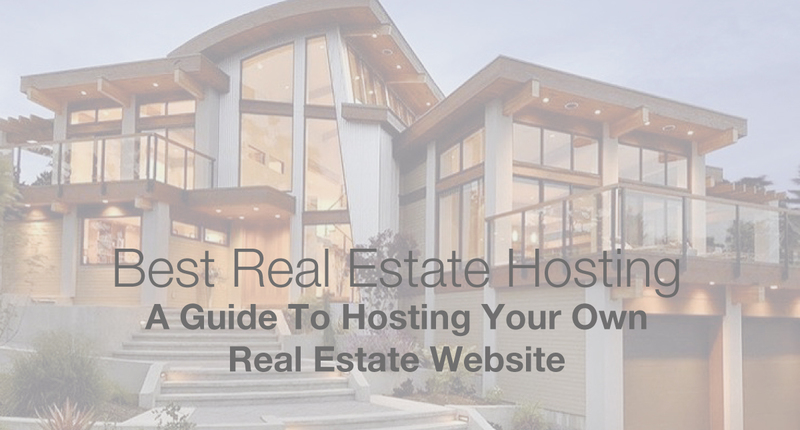 Do you need Real Estate virtual tour web-hosting? You may not want an entire website, but you do want an online service, which enables you to upload videos that show your properties in the market by giving a virtual tour. Payment lies anywhere between $10 to $350 per month. Tourbuzz enables the drag and drop feature for photos, videos, panoramas and floorplans. The cloud hosting program will automatically optimize all media for loading speed and quality. They have a variety of designs that you can choose from with customized fonts, color scheme, format and more. They deliver branded and unbranded tours to mobile phones, tablets and desktop. Your video can be posted on YouTube. There is a client panel that gives the customers access to download media and even make minor edits on the tour. 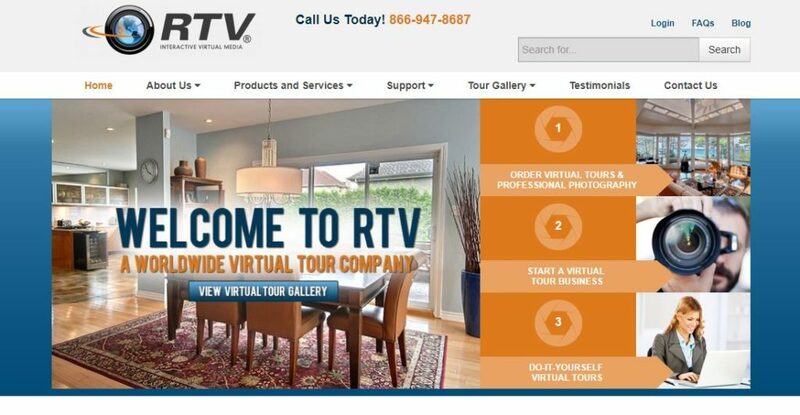 Their 360 virtual tours have competitive prices and offer high-quality digital prices. 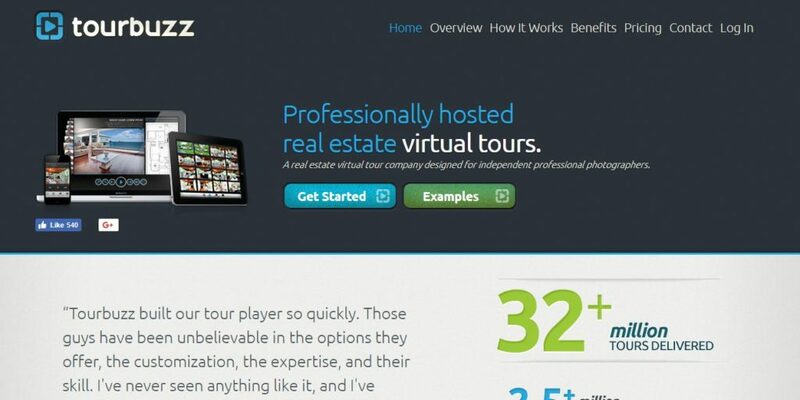 95 percent of the RealTourVision flash panoramic tours are real estate tours. They are great for showing real estate listings and are volume-based. They automatically create feeds at RTV. These feeds send your tours to a couple of national portal sites. The overview page enables the viewers to decide whether or not the property is the one. If you have decided that you appreciate what you see, then you can dive deeper for the floor plan, more pictures and/or full motion video. Tracking your marketing progress and sharing tours is very easy. You will have snapshot stats that are available at a glance. These sites will give you access to their well-established audiences, but if you are looking to build a brand, then having your own website and working on marketing takes you five steps ahead because it translates to better business in the long run. 2. Making good use of the one-click installs that are popular with content management platforms such as WordPress or Joomla. Both of these platforms require you to learn a little bit. However, WordPress is friendlier to first-timers and is a great blogging platform. Joomla, on the other hand, is handy when storing a large number of graphics, videos and other content required in a user-oriented site. Once you have decided on a theme, a WordPress host that offers single-click installs, add-ons that are software-specific for security and speed should be a priority. The real estate business is one that is fast paced and is pushed by quality. Realtors are known to seal the deal with their excellent marketing skills and attention to detail. The inclusion of digital in the real estate space is a major step in the right direction. Backed by many web hosts that are in the market, taking your business to the next level has never been so simple! Thanks for this useful guide. I am trying to decide between Wix or siteground to build my real estate website. My understanding is that Wix does not require any coding skills and has the drag-and-drop feature, whereas Siteground is more like BlueHost where I will need to learn how to use WordPress to build my website. Is that correct? If I am trying to build my website in the easiest possible way in very little time as I will only be working on this during weekends, would you recommend I just go with Wix? Great question! You’re right. If you use Siteground then you’ll have to install WordPress and get through the small learning curve of getting around the WordPress platform. This isn’t a very hard thing to do, but seeing as you have time constraints, then maybe Wix might be just the platform for you. Take a free trial on the wix platform before you make any rash decisions.